For the Houston Rockets to beat the Golden State Warriors, it is considered a given that two things have to happen. James Harden needs to have a good night as does Chris Paul. They may be able to survive if one or the other has an off-night, but both? Theoretically, they could still pull out a win, but a lot of things would have to happen—and they did in Game Five Thursday night. James Harden had a hard night. He managed to hit just five of his 21 shots and missed all 11 three-pointers he attempted. But thankfully, he went 9-9 from the free throw line bringing his point total to 19. Chris Paul didn’t do too much better with 20 points. He only hit six of 19 shots but did go 4-9 from three-point range. But he also went down with a hamstring injury late in the game leaving his availability for Game Six in doubt. 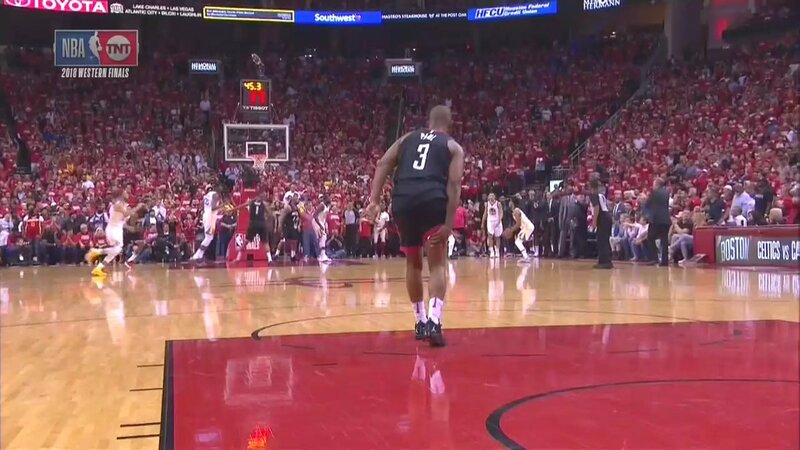 Eric Gordon ended up leading the Rockets in scoring with 24 points, but he didn’t exactly shoot well either. He was 6-15 from the floor and just 3-10 from behind the arc. He did, however, go 9-10 from the free throw line. None of the Rockets usual suspects had good nights from the floor. But somehow the Rockets walked away with a win. 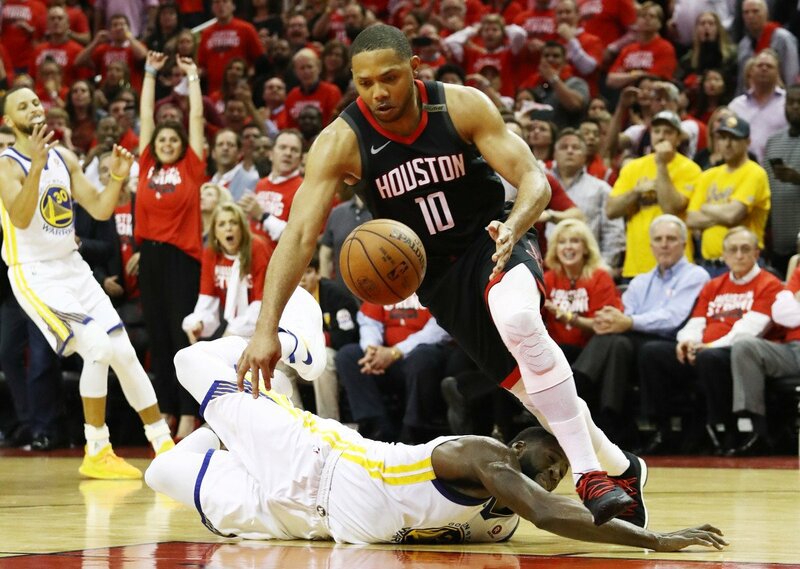 Houston’s defense came through because no one from the Warriors looked particularly good on offense either. Kevin Durant had an off night (8-22; 3-6 from three-point range) but had 29 points thanks to going 10-10 from the line. Steph Curry wasn’t bad (8-17 from the floor for 22 points; 2-8 from three-point range). Klay Thompson wasn’t either (8-14 from the floor for 23 points; 4-7 from three-point range). The problem for Golden State was more everyone else. Draymond Green had 12 points, and Kevon Looney had four on the night. The bench totaled just four points as well. With neither offense becoming explosive at any point in the game, fans saw a much closer competition than in previous games. Houston was able to take an early lead, 23-17, after the first. But in the second, Golden State was able to find it’s shot a little more and tied the game up at 45-45 going into halftime. Unlike in previous games, Steph Curry didn’t take over the game in the third. But the Warriors were able to take a one-point lead heading into the final quarter, 72-71. The game remained close in the opening minutes of the quarter. But around the seven-minute mark, a 9-2 spurt powered by seven free throws gave Houston am 88-82 lead with 5:54 to play. Draymond Green pulled the Warriors within one, 95-94, with a three-pointer at the 1:15 mark. But that would end up becoming the final shot the Warriors would make. Houston tacked on a few free throws to make the final 98-94. With the win, Houston pulls ahead in the series, 3-2. But now the Rockets will be tasked with heading back out to the West Coast and winning on Golden State’s home court again in order to eliminate the Warriors. Easier said than done– right? But after two solid defensive games by Houston, it might not be a stretch to see them get another one at the Oracle. Chris Paul’s status will be re-evaluated Friday morning. Game Six will be Saturday night at 9 PM ET.